The Islanders in first place are back on track in GBRow 2013, the world’s toughest rowing race! 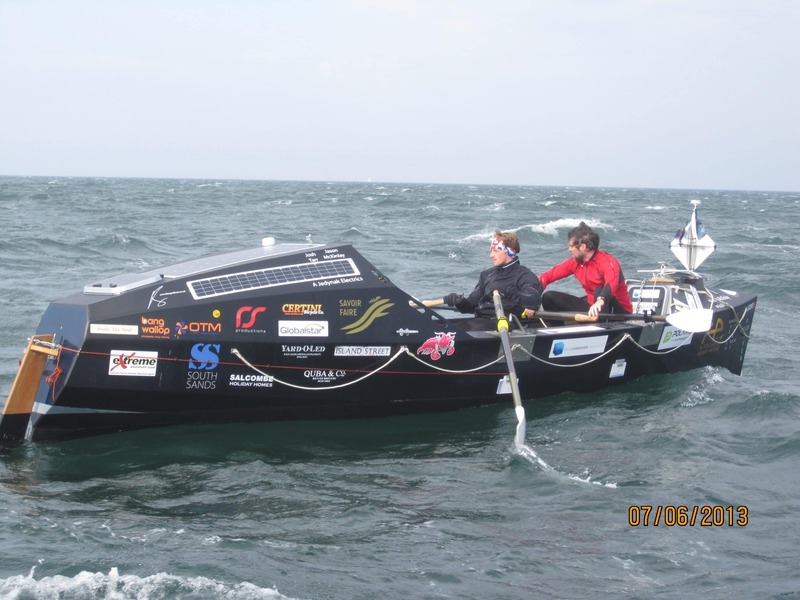 After a night of rowing steadily in the Irish Sea, their boat the Black Oyster has safely crossed the Bristol Channel and is now about 30miles west of Milford Haven. Skipper Josh Taylor and his four-man crew are only 20 miles adrift of the world record pace, despite being forced to spend 36 hours at anchor off the Cornish coast. Second place Savoir Faire are now in Mount’s Bay near Penzance waiting for the tide to turn to ‘slingshot’ their boat around Land’s End later this morning, hopefully in perfect time to be met by the southerly winds predicted this afternoon. Jason McKinlay and his rowing partner Josh Tarr are ahead of their own planned schedule in the 2,000-mile race around Britain’s mainland, which began in London on June 1. Pure Gym – who are now making a supported record attempt – are still in Penzance trying to fix an electrical problem.